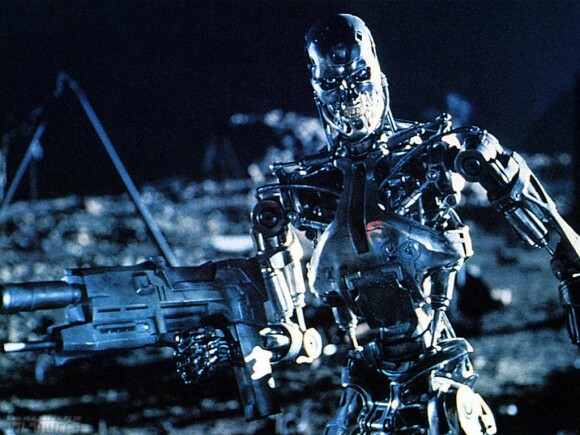 How serious is the threat of killer robots? Well, it depends on whom you ask. Some people will tell you that the threat is very real, and I don’t mean the guy with the tinfoil hat standing on the street corner. A new draft of a report coming out of the U.N. Human Rights Commission looks to negate the possible threat of the use of unmanned vehicles with the ability to end human life without the intervention of another human being. As you can guess the UN is anti-killer robots. So it looks like you may just have to watch the sky’s after all. The WellPoint clinical trial, which could roll out as early as 2012, is exciting proof that supercomputing intelligence, when properly harnessed, can lead to revolutionary breakthroughs in complex fields like medicine. At a time when talk about reforming the healthcare system is primarily about the creation of digital health records, the integration of Watson into the healthcare industry could really shake things up. By some accounts, Watson is able to process as many as 200 million pages of medical information in seconds – giving it a number-crunching head start on doctors for diagnosing cases. In one test case cited by WellPoint, Watson was able to diagnose a rare form of an illness within seconds – a case that had left doctors baffled. While having super-knowledgeable medical experts on call is exciting, it also raises several thorny issues. At what point – if ever - would you ask for a “second opinion” on your medical condition from a human doctor? Will “Watson” ever be included in the names of physicians included in your HMO listings? And, perhaps most importantly, can supercomputers ever provide the type of bedside manner that we are accustomed to in our human doctors? This last question has attracted much attention from medical practitioners and health industry thought leaders alike. Abraham Verghese, a professor at the Stanford University School of Medicine as well as bestselling author, has been particularly outspoken about the inability of computers to provide the type of medical handholding that we are used to from human doctors. Verghese claims that the steady digitization of records and clinical data is reducing every patient to an "iPatient" – simply a set of digital 1’s and 0’s that can be calculated, crunched, and computed. Forget whether androids dream of digital sheep – can they take a digital Hippocratic Oath? Given that the cost of healthcare is simply too high, as a society we will need to accept some compromises. Once the healthcare industry is fully digitized, supercomputers like Watson could result in a more cost-effective way to sift through the ever-growing amount of medical information and provide real-time medical analysis that could save lives. If Watson also results in a significant improvement in patient treatment as well, it’s clear that the world of medicine will never be the same again. Right now, IBM envisions Watson supplementing – not actually replacing - doctors. But the time is coming when nurses across the nation will be saying, “Watson -- Come Here –- I Need You,” instead of turning to doctors whenever they need a sophisticated medical evaluation of a patient. The technicians at SecureAlert’s monitoring center in Salt Lake City sit in front of computer screens filled with multicolored dots. Each dot represents someone on parole or probation wearing one of the company’s location-reporting ankle cuffs. As the people move around a city, their dots move around the map. “It looks a bit like an animated gumball machine,” says Steven Florek, SecureAlert’s vice-president of offender insights and knowledge management. As long as the gumballs don’t go where they’re not supposed to, all is well. The company works with law enforcement agencies around the U.S. to keep track of about 15,000 ex-cons, meaning it must collect and analyze billions of GPS signals transmitted by the cuffs each day. The more traditional part of the work consists of making sure that people under house arrest stay in their houses. But advances in the way information is collected and sorted mean SecureAlert isn’t just watching; the company says it can actually predict when a crime is about to go down. If that sounds like the “pre-cogs”—crime prognosticators—in the movie Minority Report, Florek thinks so, too. He calls SecureAlert’s newest capability “pre-crime” detection. The big bang in data analytics occurred in 2006 with the release of an open-source system called Hadoop. 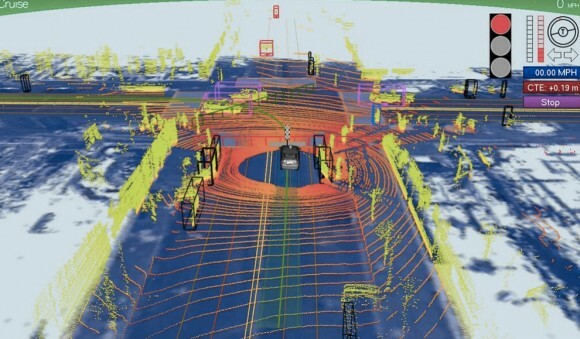 The technology was created by a software consultant named Doug Cutting, who had been examining a series of technical papers released by Google (GOOG). The papers described how the company spread tremendous amounts of information across its data centers and probed that pool of data for answers to queries. Where traditional data warehouses crammed as much information as possible on a few expensive computers, Google chopped up databases into bite-size chunks and sprinkled them among tens of thousands of cheap computers. The result was a lower-cost and higher-capacity system that lots of people can use at the same time. Google uses the technology throughout its operations. Its systems study billions of search results, match them to the first letters of a query, take a guess at what people are looking for, and display suggestions as they type. You can see the bite-size nature of the technology in action on Google Maps as tiny tiles come together to form a full map. Cutting created Hadoop to mimic Google’s technology so the rest of the world could have a way to sift through massive data sets quickly and cheaply. (Hadoop was the name of his son’s toy elephant.) The software first took off at Web companies such as Yahoo! (YHOO) and Facebook and then spread far and wide, with Walt Disney (DIS), the New York Times, Samsung, and hundreds of others starting their own projects. Cloudera, where Cutting, 48, now works, makes its own version of Hadoop and has sales partnerships withHewlett-Packard (HPQ) and Dell (DELL). Dozens of startups are trying to develop easier-to-use versions of Hadoop. 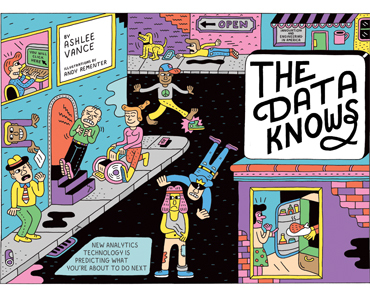 For example, Datameer, in San Mateo, Calif., has built an Excel-like dashboard that allows regular business people, instead of data priests, to pose questions. “For 20 years you had limited amounts of computing and storage power and could only ask certain things,” says Datameer CEO Stefan Groschupf. “Now you just dump everything in there and ask whatever you want.” Top venture capital firms Kleiner Perkins Caufield & Byers and Redpoint Ventures have backed Datameer, while Accel Partners, Greylock Partners, and In-Q-Tel, the investment arm of the CIA, have helped finance Cloudera. Past technology worked with data that fell neatly into rows and columns—purchase dates, prices, the location of a store. Amazon.com (AMZN), for instance, would use traditional systems to track how many people bought a certain type of camera and for what price. Hadoop can handle data that don’t fit into spreadsheets. That ability, combined with Hadoop’s speedy divide-and-conquer approach to data, lets users get answers to questions they couldn’t even ask before. Retailers can dig into not just what people bought but why they bought it. Amazon can (and does) analyze its website logs to see what other items people look at before they buy that camera, how long they look at them, whether certain colors on a Web page generate more sales—and synthesize all that into real-time intelligence. Are they telling their friends about that camera? Is some new model poised to be the next big hit? “These insights don’t come super easily, but the information is there, and we do have the machine power now to process it and search for it,” says James Markarian, chief technology officer at data specialist Informatica (INFA). How are IBM (IBM) and the other big players in the data warehousing business responding to all this? In the usual way: They’re buying startups. Last year, IBM bought Netezza for $1.7 billion. HP, EMC (EMC), and Teradata (TDC) have also acquired data analytics companies in the past 24 months. It’s not going too far to say that data analytics has even gotten hip. The San Francisco offices of startup Splunk have all the of-the-moment accoutrements you’d find at Twitter or Zynga. The engineers work in what amounts to a giant living room with pinball machines, foosball tables, and Hello Kitty-themed cubes. Weekday parties often break out—during a recent visit, it was Mexican fiesta. Employees were wearing sombreros and fake moustaches while a dude near the tequila bar played the bongos. Splunk got its start as a type of nuts-and-bolts tool in data centers, giving administrators a way to search through data tied to the low-level operations of computers and software. The company indexes “machine events”—the second-by-second records produced by computing devices to keep track of their actions. This could include records of every time a server stores information, or it could be the length of a cell phone call and what type of handset was used. Splunk helps companies search through this morass, looking for events that caused problems or stood out as unusual. “We can see someone visit a shopping website from a certain computer, see that they got an error message while on the lady’s lingerie page, see how many times they tried to log in, where they went after, and what machine in some far-off data center caused the problem,” says Erik Swan, CTO and co-founder of Splunk. While it started as troubleshooting software for data centers, the company has morphed into an analysis tool that can be aimed at fine-tuning fraud detection systems at credit-card companies and measuring the success of online ad campaigns. A few blocks away from Splunk’s office are the more sedate headquarters of IRhythm Technologies, a medical device startup. IRhythm makes a type of oversize, plastic band-aid called the Zio Patch that helps doctors detect cardiac problems before they become fatal. Patients affix the Zio Patch to their chests for two weeks to measure their heart activity. The patients then mail the devices back to IRhythm’s offices, where a technician feeds the information into Amazon’s cloud computing service. Patients typically wear rivals’ much chunkier devices for just a couple of days and remove them when they sleep or shower—which happen to be when heart abnormalities often manifest. The upside of the waterproof Zio Patch is the length of time that people wear it—but 14 days is a whole lot of data. IRhythm’s Hadoop system chops the 14-day periods into chunks and analyzes them with algorithms. Unusual activity gets passed along to technicians who flag worrisome patterns to doctors. For quality control of the device itself, IRhythm uses Splunk. The system monitors the strength of the Zio Patch’s recording signals, whether hot weather affects its adhesiveness to the skin, or how long a patient actually wore the device. On the Zio Patch manufacturing floor, IRhythm discovered that operations at some workstations were taking longer than expected. It used Splunk to go back to the day when the problems cropped up and discovered a computer glitch that was hanging up the operation. Automatic content generators are the scourge of most legitimate writers and publishers, especially if these take some original content, spin it around and generate a mashup of different content but obviously based on something else. An app made by computer science and journalism experts involves artificial intelligence that writes like a human, though. 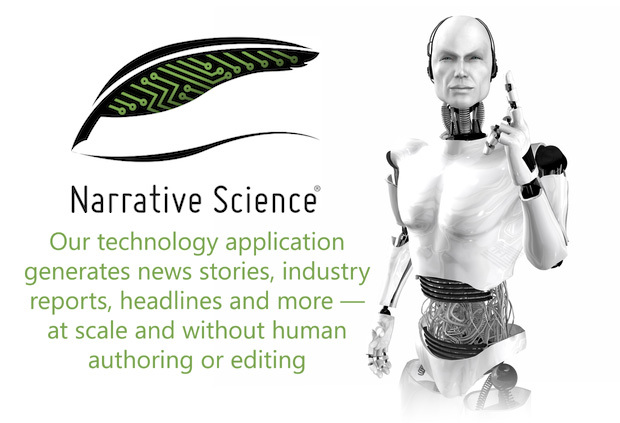 Developers at the Northwestern University’s Intelligent Information Laboratory have come up with a program called Narrative Science, which composes articles and reports based on data, facts, and styles plugged in. The application is worth more than 10 years’ work by Kris Hammond and Larry Birnbaum who are both professors of journalism and computer science at the university. Currently being used by 20 companies, an example of work done by Narrative Science include post-game reports for collegiate athletics events and articles for medical journals, in which the software can compose an entire, unique article in about 60 seconds or so. What’s striking is that even language experts say you won’t know the difference between the software and an actual human, in terms of style, tone and usage. The developers have recently received $6 million in venture capital, which is indicative that the technology has potential in business and revenue-generating applications. AI today is increasingly becoming sophisticated in terms of understanding and generating language. AI has gone a long way from spewing out pre-encoded responses from a list of sentences and words in reaction to keywords. Narrative Science can actually compose paragraphs using a human-like voice. The question here is whether the technology will undermine traditional journalism. Will AI simply assist humans in doing research and delivering content? Or, will AI eventually replace human beings in reporting the news, generating editorials and even communicating with other people? What Does it Mean for Journalism and the Writing Profession? Perhaps the main indicator here will be cost. Narrative Science charges about $10 each 500-word article, which is not really far from how human copy writers might charge for content. Once this technology becomes popular with newspapers and other publications, will this mean writers and journalists — tech bloggers included — need to find a new career? It seems it’s not just the manufacturing industry that’s prone to being replaced by machines. Maybe we can just input a few keywords like iPhone, iOS, Jailbreak, Touchscreen, Apple and the like, and the Narrative Science app will be able to create an entirely new rumor about the upcoming iPhone 5, for instance! The potential is great, although the possibility for abuse is also there. Think of spammers and scammers using the software to create more appealing emails that recipients are more likely to act on. Still, with tools like these, it’s only up for us humans to up the ante in terms of quality. And yes, in case you’re wondering, a real human did write this post. IBM researchers unveiled today a new generation of experimental computer chips designed to emulate the brain’s abilities for perception, action and cognition. In a sharp departure from traditional von Neumann computing concepts in designing and building computers, IBM’s first neurosynaptic computing chips recreate the phenomena between spiking neurons and synapses in biological systems, such as the brain, through advanced algorithms and silicon circuitry. The technology could yield many orders of magnitude less power consumption and space than used in today’s computers, the researchers say. Its first two prototype chips have already been fabricated and are currently undergoing testing. Called cognitive computers, systems built with these chips won’t be programmed the same way traditional computers are today. Rather, cognitive computers are expected to learn through experiences, find correlations, create hypotheses, and remember — and learn from — the outcomes, mimicking the brains structural and synaptic plasticity. 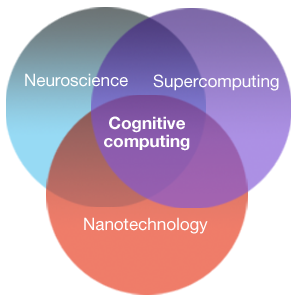 IBM is combining principles from nanoscience, neuroscience, and supercomputing as part of a multi-year cognitive computing initiative. IBM’s long-term goal is to build a chip system with ten billion neurons and hundred trillion synapses, while consuming merely one kilowatt of power and occupying less than two liters of volume. 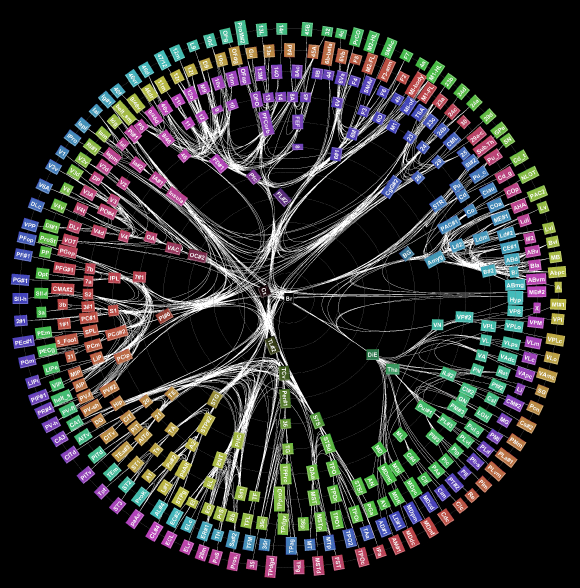 While they contain no biological elements, IBM’s first cognitive computing prototype chips use digital silicon circuits inspired by neurobiology to make up a “neurosynaptic core” with integrated memory (replicated synapses), computation (replicated neurons) and communication (replicated axons). IBM has two working prototype designs. Both cores were fabricated in 45 nm SOI­CMOS and contain 256 neurons. One core contains 262,144 programmable synapses and the other contains 65,536 learning synapses. The IBM team has successfully demonstrated simple applications like navigation, machine vision, pattern recognition, associative memory and classification. IBM’s overarching cognitive computing architecture is an on-chip network of lightweight cores, creating a single integrated system of hardware and software. It represents a potentially more power-efficient architecture that has no set programming, integrates memory with processor, and mimics the brain’s event-driven, distributed and parallel processing. The company and its university collaborators also announced they have been awarded approximately $21 million in new funding from the Defense Advanced Research Projects Agency (DARPA) for Phase 2 of the Systems of Neuromorphic Adaptive Plastic Scalable Electronics (SyNAPSE) project. The goal of SyNAPSE is to create a system that not only analyzes complex information from multiple sensory modalities at once, but also dynamically rewires itself as it interacts with its environment — all while rivaling the brain’s compact size and low power usage. IBM has a rich history in the area of artificial intelligence research going all the way back to 1956 when IBM performed the world’s first large-scale (512 neuron) cortical simulation. Most recently, IBM Research scientists created Watson, an analytical computing system that specializes in understanding natural human language and provides specific answers to complex questions at rapid speeds.